Leather-Look Shiny Black Shirt with Embossed Dots. The leather-look shine doesn’t stop on this mens shiny black shirt covered in glossy raised dots. 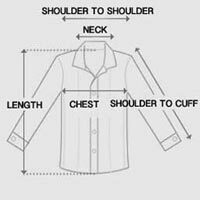 Black button down shirt has a standard collar with long sleeves and classic front-button closure. Sequin-shaped dots envelop the shirt with a lustrous sheen imitating the look of patent leather with a gently embossed texture. Shimmery fabric made from a smooth poly-spandex blend with light, comfortable stretch. You can try pairing this shiny black shirt for men with matte pieces to make your top the main statement.